This corporate custom event tent fits in a 10x10 space. 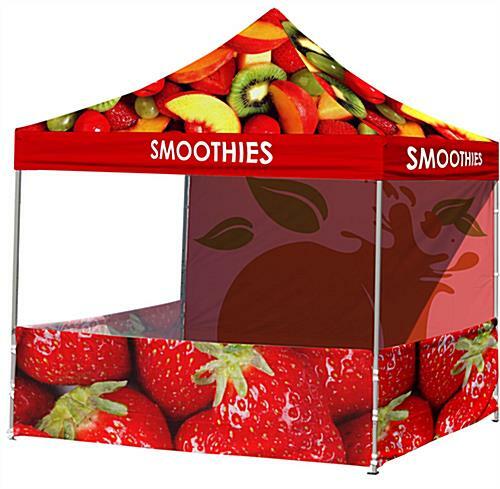 A full color dye-sub process is used for the canopy graphics on the water-resistant polyester fabric. 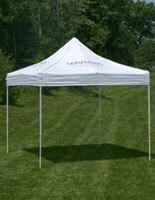 With the height of the event tent, your design will pop out in a crowd. 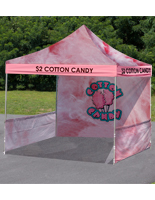 A company design can be printed on the canopy, valances, back wall and 3 half walls. 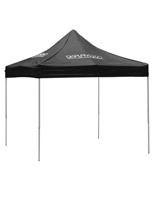 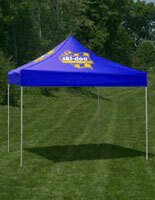 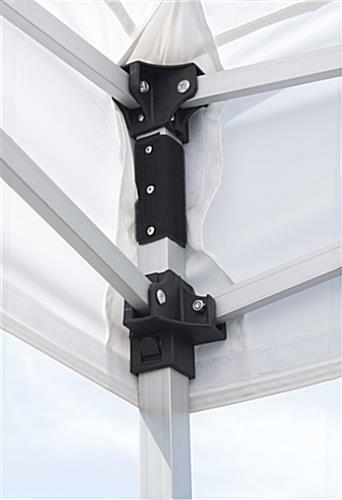 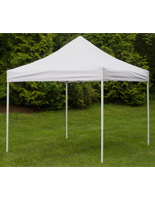 The event tent has an easy assembly due to the collapsible design. 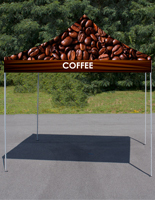 Approximately two people can set up the corporate booth with canopy graphics in two minutes. 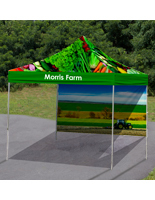 To transport the display a carrying bag for the aluminum frame is included.